If you've been around Charlotte, North Carolina, (or the South, for that matter) for any length of time, it is wildly clear that NASCAR is huge in the area. 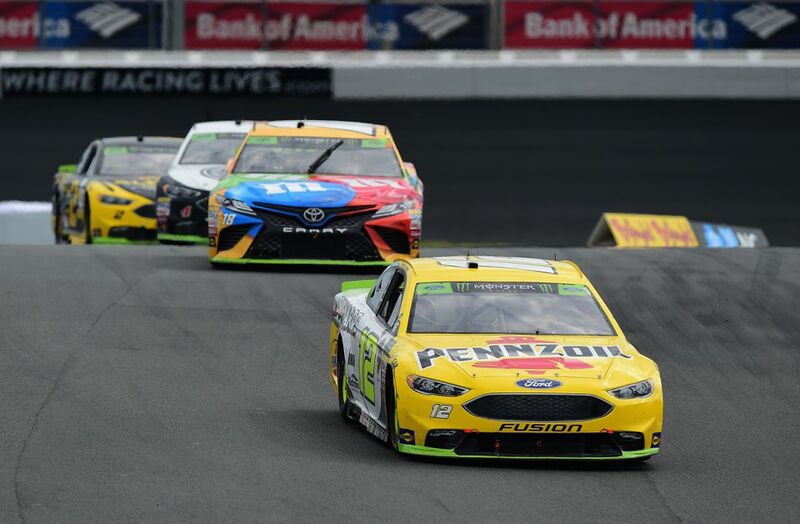 Charlotte has become the unofficial "NASCAR Headquarters" (the actual HQ is based in Florida) due to the Charlotte Motor Speedway and NASCAR Hall of Fame executive offices making the city a home. The majority of NASCAR teams have a base in Charlotte or nearby Concord and Mooresville and most welcome visitors to see how the shops work. Many of teams also offer shop tours, have museums, and plenty of them have gift shops. Just remember that the hours do change for many of these shops, especially during race weeks. Some shops have extended hours or special tours these weeks, and some shops that aren't regularly open are open during this time. It's always best to check with the specific shop before you plan a visit. Visitors can find t-shirts, replica models and other souvenirs inside the gift store after exploring the winning history of the shop through a photo gallery. Get up close and personal with the cars through a viewing platform that provides an inside peek at how the team builds and upgrades the team automobiles. DEI has a retail store and showroom that are both free of charge for visitors. The showroom contains one of a kind items that are a must-see for Dale Earnhardt fans, including all seven championship trophies, some of Dale’s old fire suits, race cars, and much more. Hours are often extended during race weeks and may change if a special event is being held on the property. Located just of Highway 77, Germain racing offers a gift shop full of gear and a viewing window of the shop to take a look behind-the-scenes as the team prepares for upcoming races. If you are heading to the Charlotte Motor Speedway, there's no reason to miss a tour of Hendrick Motorsports that is located just 1 mile away from the track. Admission is free to explore the state-of-the-art facilities and learn how the four NASCAR Cup Series teams get ready for race day. During race weeks, the campus extends their hours to accommodate more fans. The shop does not offer tours at Joe Gibbs Racing but is open for viewers to get a glimpse of the autos driven by team stars like Kyle Bush, Denny Hamlin, and Erik Jones. There is a gift shop available to load up on gear sporting the team logo. Joe Gibbs Racing, 13415 Reese Blvd. West Huntersville, NC 28078. Phone: (704) 944-5000. Take a tour of the home of team owner Joe "Front Row Joe" Nemechek to see how he works with his family to keep his winning streak alive each season. The facility displays the racing history of Nemechek, the 1990 Rookie of the Year, and the drivers on his team. While the official Penske Museum is located in Phoenix, the action can actually be found at this training facility spread over 105 acres of land. Visitors can buy team memorabilia in the 4,986-square foot gift shop, which is also the location to the entrance of a 432-foot fan walk that sits high above the garage floor. One of the founding families of stock car racing, the Petty family opened a museum in 1988 devoted to preserving their family legacy with memorabilia and vintage original Winston Cup and Grand National Championship Race Cars on display. Although they do not currently offer shop tours, fans can drop off items at the location (with return packaging and stamps) to request signed autographs. Richard Petty Museum, 7065 Zephyr PL Concord, NC 28027. Phone: (704) 743-5420. The RCR Racing Museum, located on the RCR campus, is a 47,000 square foot facility that encompasses the original No. 3 race shop built at the RCR campus in 1986 and the original RCR Museum built in 1991. A 3,500 square foot structure was constructed between the two buildings to tie it all together. Inside, there are 47 race vehicles (46 cars and one NASCAR Truck) and a tractor-trailer transporter rig. The museum includes a variety of memorabilia, from victory trophies to actual race vehicles. After touring the museum, you'll find a full line of official Roush Fenway Racing apparel, merchandise and award-winning die-cast collectibles in their retail store. Co-owners Tony Stewart and Gene Haas have built a 200,000-square-foot facility less than 20 minutes away from the Charlotte Motor Speedway to build and house their award-winning collection of racers. Swing by for access to a viewing area, team store and a collection of cars like the Ford Fusion driven by Aric Almirola. It's a bit of a drive to stop by the Wood Brothers Racing Museum, but the 2.5-hour trek from Charlotte will be worthwhile for racing aficionados wanting to explore the rich history of one of the sports oldest teams through a multi-media tour that charts their origins back in 1972 to present day.